Adam Summers is a professor at the University of Washington known for his deep desire to interact with nature. 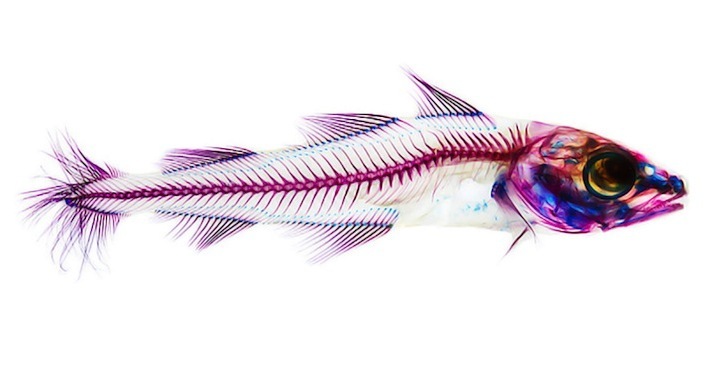 His latest project has taken his obsession for fish to a whole new level by collecting fish specimens as the medium of his newest artistic project. 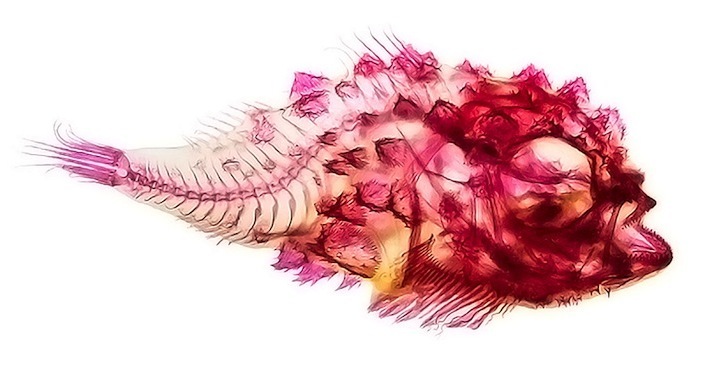 In this photo series, titled Cleared, Adam bleaches fish to reveal their stunning anatomy. 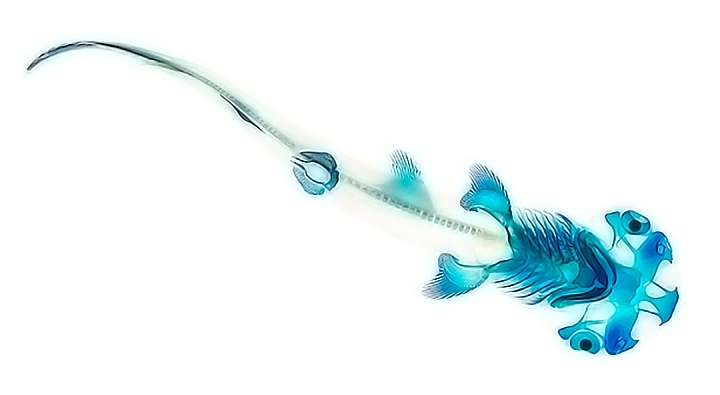 He uses two dyes – alcian blue to stain cartilaginous elements and alizarin red to turn tissue a shade of crimson. 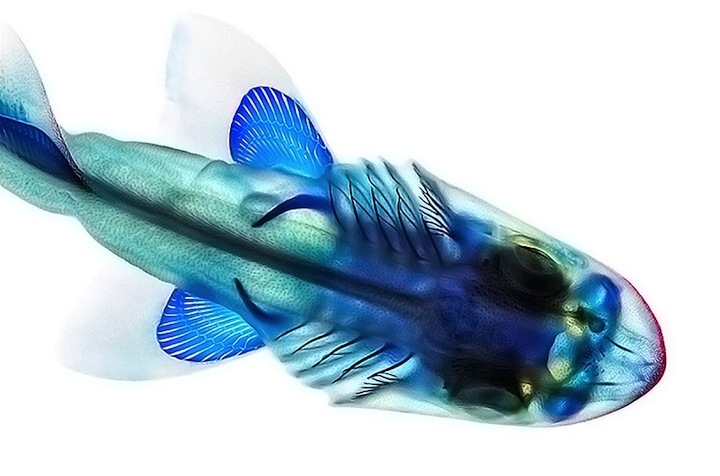 The he lightly bleaches the species to remove dark pigments, leaving a snow-white fish. 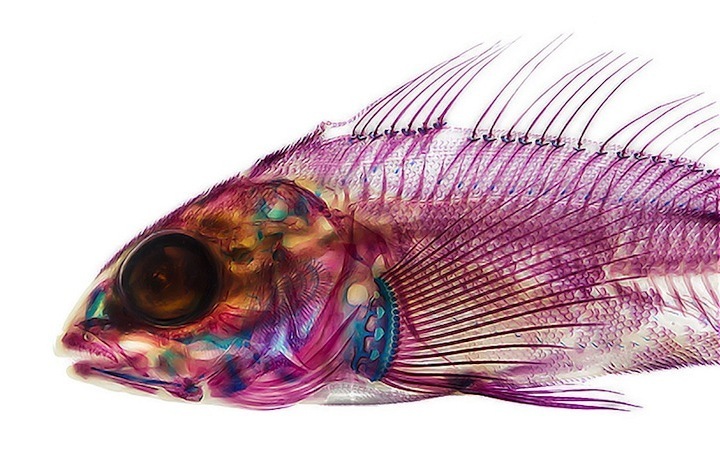 Images are captured while the examples are fully submerged in glycerin; a large reservoir the compound is placed on a color corrected LED light table and the fish is posed in place. 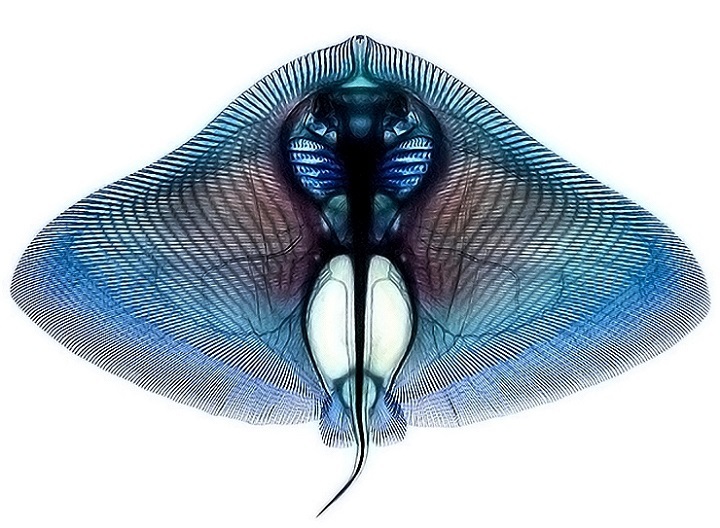 in its final stage, the still shots are not only mesmerizing on an aesthetic scale, but also gives a rare glimpse of the underlying structure of the animal, visualizing their vertebrates, skeletons, and soft tissues. 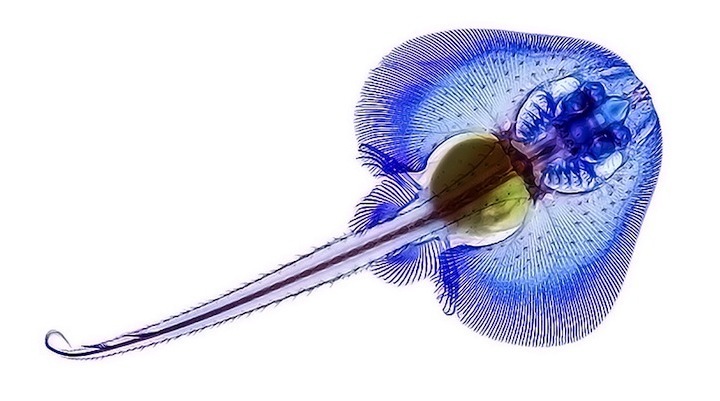 Summers continues to teach an intensive graduate course in the biomechanics of fishes at FHL and he is also prospecting for new classes of biomaterials from the sea.